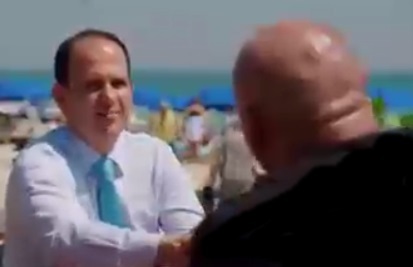 In this episode of The Profit, Marcus Lemonis visits FuelFood. FuelFood is a healthy food delivery service located in West Palm Beach, Florida. This company selects, prepares and delivers healthy and affordable gourmet meals across America. It promises to offer customers with the most nutritious and best-tasting food for as low as $7.50 per meal. Erik Leander is the founder and owner of the FuelFood. Erik began his fitness career at a very young age. At 17 and after 4 years of training, he was awarded first place in a Florida natural bodybuilding competition. He started his own supplement and nutrition store in Florida in his teenage years. 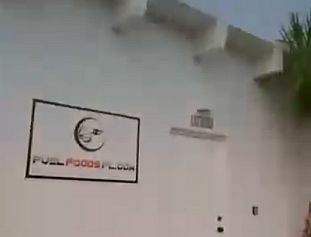 FuelFood was born in 1999 after Erik opened his gym. He started by making meals for the pro athletes he was training and explained to them the significance of the right diet. He soon got more clients so he started cooking, packing and delivering meals from his house. The company grew, but it has developed an ailing corporate tradition. Although Erik and FuelFood have helped many people, it cannot achieve a healthy working atmosphere of its own. They are having hard time marketing and retaining the customers the gain. FuelFood is deep in debt and Erik is dominating the entire company in a wrong way. The business owner is unapproachable and very aggressive towards his staff. Too much spending on the delivery services. Meals have a poor presentation. Lack the essential cooking equipment. Marcus has a passion to help small businesses that he believes help people. He can see the drive that Erik and his staff have to produce meals that are helpful in burning fats and building muscles. Marcus was excited learning the story of Chana, a FuelFood employee who lost more than a hundred pounds. She is a living testament to how effective the program is. Marcus is aware that the company has debt and Erik cannot clearly account all the money that comes in and out the business. He proposed to give Erik $300,000 for a 51% ownership. He intended to use $200,000 to pay off the debt and $100,000 as working capital. Erik hesitated at first, thinking that he might become a minor shareholder of the company, provided that there are other shareholders. After some minutes, he agreed, took the check and closed the deal. 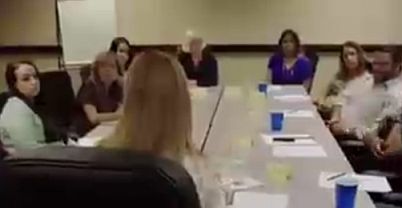 Marcus took Erik and his team to witness a focus group doing actual product tasting. A meal that is more attractive and tastier was created. A new logo was proposed. Shopping for new and useful kitchen tools. Since Erik was having a hard time listening to the ideas and suggestions of his staff, Marcus took him, Diana and Jordan to observe a focus group. After receiving feedback, Marcus was happy to know that the inefficiencies of the company are manageable. Marcus was disappointed however to know that FuelFood did not have the right kitchen equipment even though the company has the money to acquire it. He led an open forum with Erik and all the employees. Erik as usual upset everyone with his aggression and seemed not interested to accept his shortcomings. Two days later, Marcus took chef Mike to the Restaurant Warehouse to buy all the necessary tools that FuelFood needs to be more effective and productive. Marcus was devastated after learning from chef Mike that Diana and another important staff member left the company. Erik was cutting the salaries of his employees. The FuelFood owner explained to Marcus that he needed to do that to pay for something else. Marcus discovered that the company is facing an even bigger problem. Erik received a notice from the US Securities and Exchange Commission. Marcus looked at it and identified that there is another major owner of the company. The government thinks that the major shareholder is allegedly involved in a Ponzi scheme. 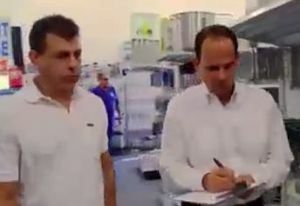 Marcus was concerned about the employees but called the deal off due to the complexity of the company’s status and the government’s involvement. He and Erik had a heated argument before he finally left the FuelFood facility. Marcus once again escapes from a deal with someone that wasn’t totally sincere with him. I hope you enjoyed this review of this episode. I think Erik thinks he’s running an energy drink company. That $150,000 truck was a huge red flag. What I found offensive is how Marcus seems to feel he has to walk on egg shells to not offend women in anyway. When the owner cited how men have a higher retention rate, Marcus shouldn’t be offended if that is the facts, i highly doubt if the stats were reversed Marcus would be criticizing the owner. Men were the primary customers so it only makes sense to use women to attract them. I know they had an article a few years back where a woman went to the pop-up natural gas towns and started a business where she only hired women sales clerks to help her get more sales out of the predominantly male clientele, no one attacked her saying she was sexist or discriminatory for a logical and rational business decision.